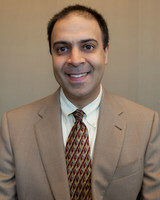 Saju is vice president and general counsel of HDG hotels which is based out of Ocala, Florida. Saju and his brother, Navroz Saju, are the founding members of HDG hotels, which owns and operates nine hotels throughout Central and North Central Florida. The Marion County, FL chamber of commerce recently awarded HDG hotels its business of the year. Saju obtained his law degree from the University of Florida and undergraduate degree in Economics from Davidson College. He resides in Ocala with his wife and daughter. Ocala has been home for Saju and his family since 1981.